Intense last lines. Great poem, Richard. 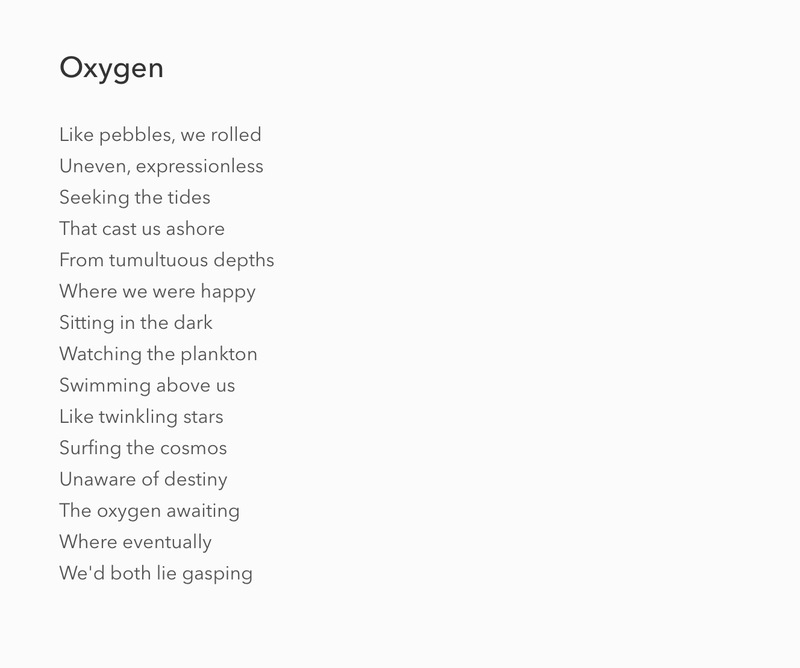 “sitting in the dark watching the plankton swimming above us” something about those 3 lines that I loved so much. I guess it took me to a dreamy little visual space. Beautiful, Richard. Thanks, Alisa. I’m glad you enjoyed it.